Cruise expert Daniel, www.danieloftheseas.com, recently stepped on board a Royal Princess Cruise ship. This is what he thought about it. 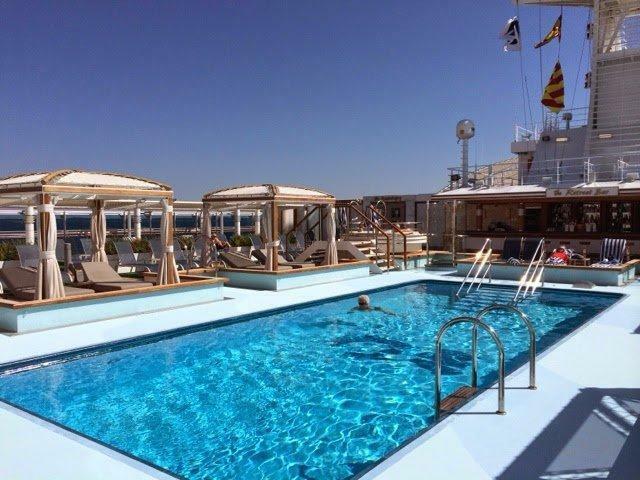 Read more interesting articles on his cruise blog. 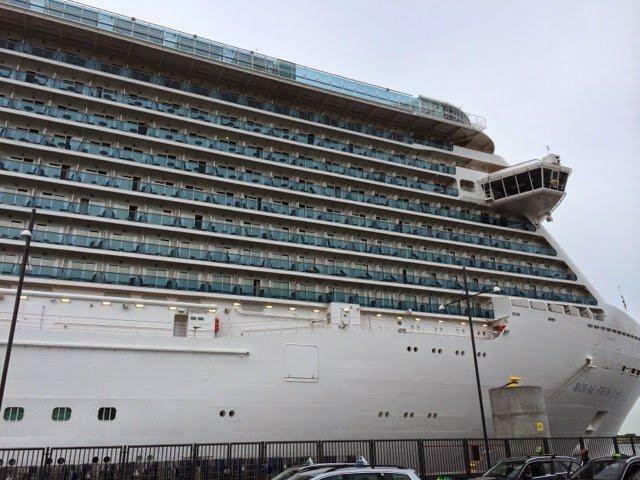 Royal Princess and sister ship Regal Princess, are two of 16 vessels owned by the shipping company Princess Cruises. Princess Cruises is part of the world’s largest cruise group, Carnival Group. The cruise company became famous in the 70’s-80’s TV series “The Love Boat” , recorded aboard the Pacific Princess. 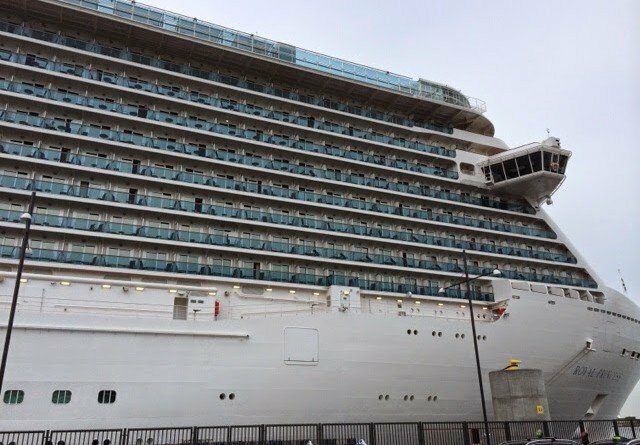 Princess Cruises has today much newer and more modern cruise ships and the two latest additions to the fleet, Royal- and Regal Princess, are the finest. The vessels were built in 2013 and 2014 respectively, and are graded in the new ship class “Royal Class”. 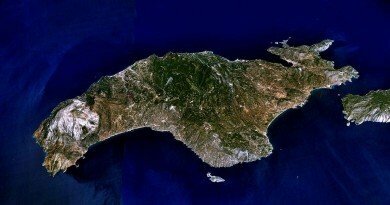 They are 330 meters long and 3,600 passengers can be aboard. 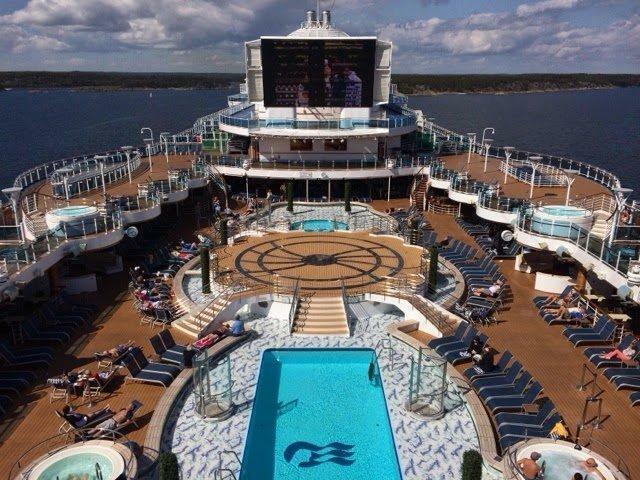 Royal Princess is the flagship of the company fleet, a designation previously held by Grand Princess. The design is different in these new vessels, they are much more modern, even though all Princess ships are of high class and standard. The style is a bit more towards the classic and you can enjoy fine art, decorations and lavish details. Colour scheme is bright and modern. Although there are families with children, the largest share of passengers are couples of all ages. 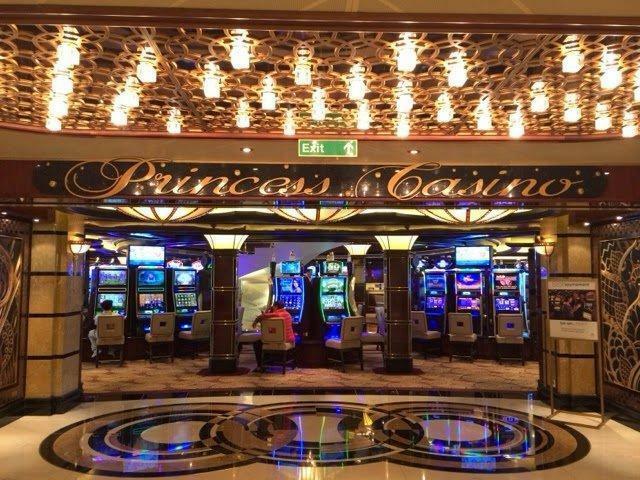 Aboard the Royal- and Regal Princess you will find all the amenities needed. Restaurants, bars, theaters, swimming pools, casino, spa and gym. 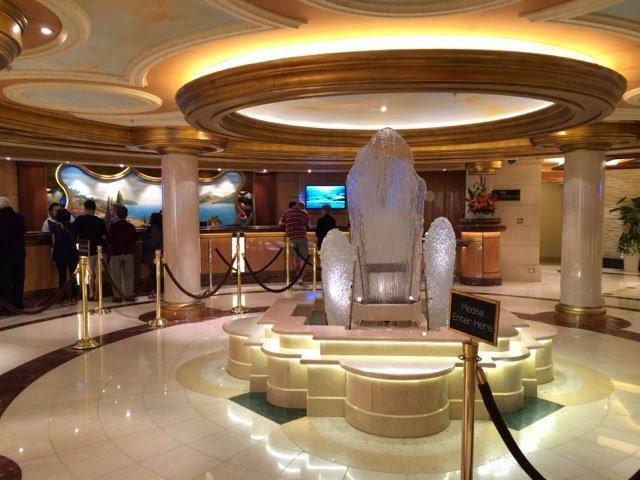 The ship’s front desk is open around the clock, and the staff is service-minded and friendly, doing everything to make your cruise a memorable one. Next to the reception is the excursion counter where you can purchase any of the many excursions organized. 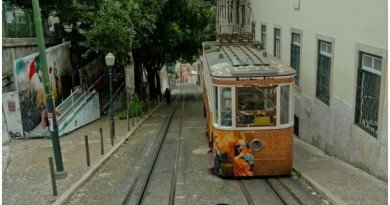 The excursions cost extra but there is everything from a cheaper one to those that cost more. 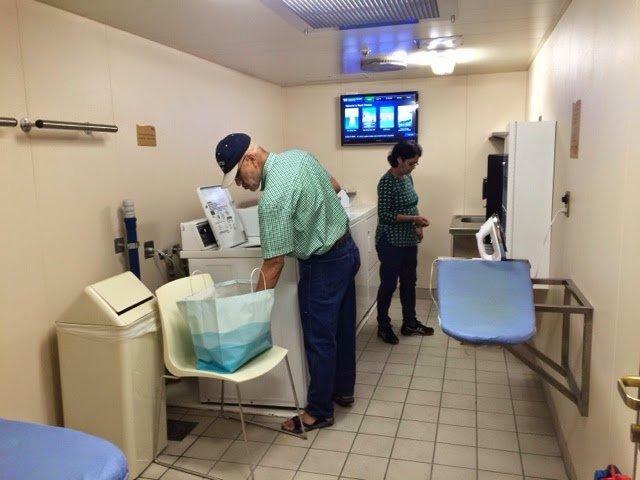 A convenience not found in other cruise lines is the “laundry room”. For an additional charge you can wash and iron your garments. 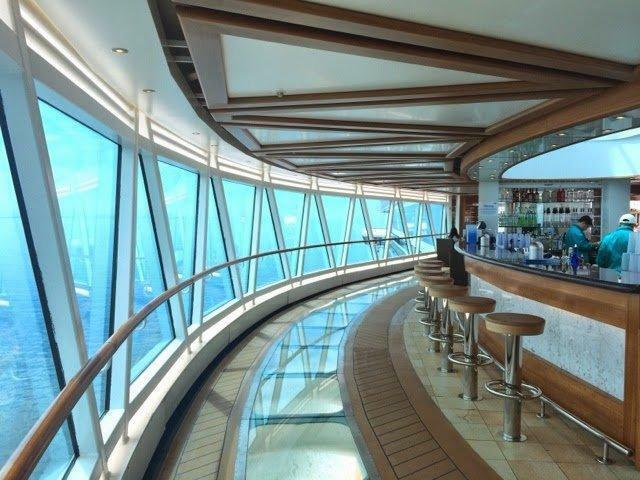 Bars are to be found all over the ship and are open from early until late. Prices are affordable, a drink costs about 10usd including tip. Of course you will also find a champagne bar on board with many different kinds of good bubbly. In many of the bars singers, pianists and other musicians entertain in the evenings. In the main theatre different kind of shows are set up daily. There is also a casino. 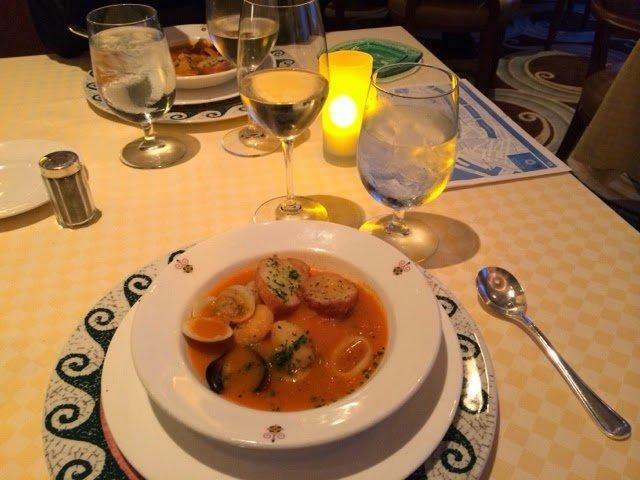 The food on board is a big part of the cruise experience. There is always an outlet open 24/7 at no extra charge. International Cafe on deck 5 in “The Piazza” is always open and here you can be served a light breakfast, sandwiches, salads and cakes. 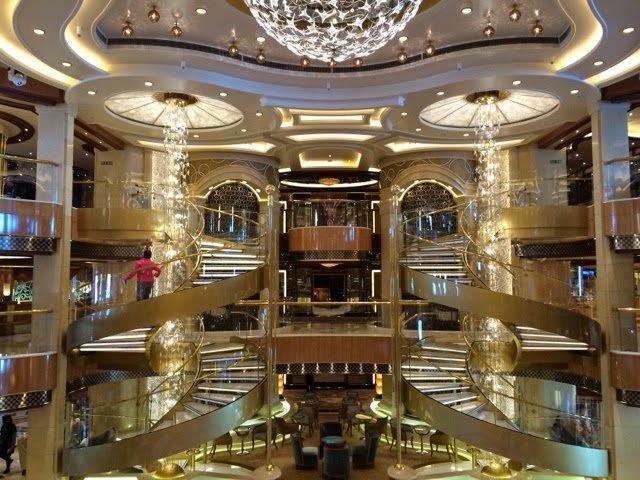 In addition there is room service available around the clock and it is included in the cruise price. Up at the pool there is a hamburger and hot dog grill and pizzeria if you want something to nibble on. The buffet restaurant, the Horizon Court is open from early morning to late evening. Breakfast, lunch, “afternoon snack”, and dinner is served here. There are a wide variety of food for all. Salads, hot dishes, soups and sushi can be found here. 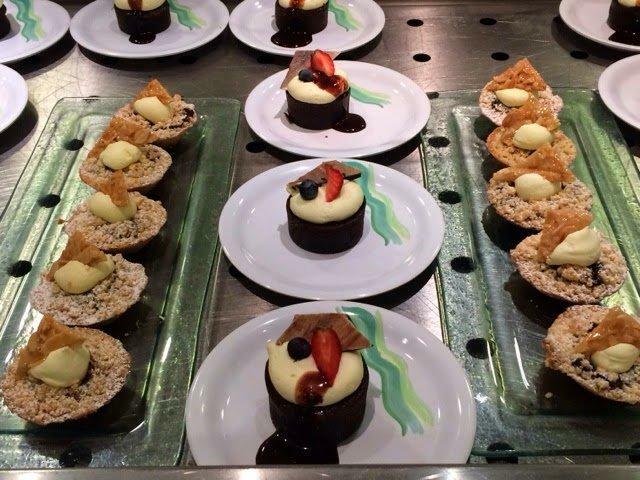 Mostly I was impressed by the variety of desserts to choose from, among the best I have experienced on a ship. In this restaurant, you can always get water, coffee, tea and iced tea for free, all day long. There are three luxurious main restaurants a board. All are different in style, but serves the same food and they are included in the price. 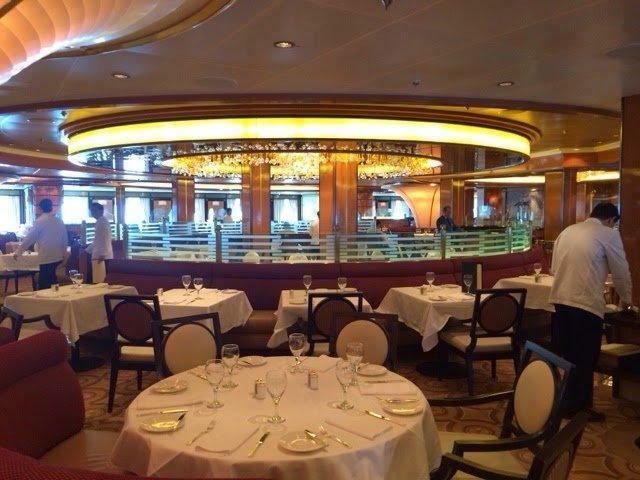 Breakfast, lunch and dinner is served here every day the ship is at sea. One can choose to have a fleible seating time or a fixed time for dinner. It is an a la carte menu but you can order as much as you want from the menu. The quality of the food is excellent. 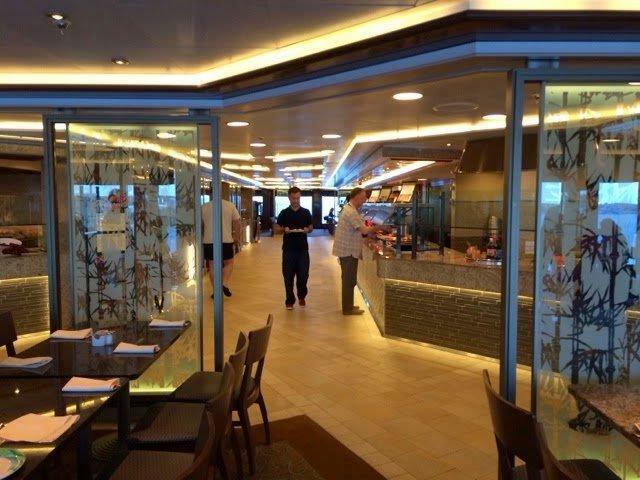 Surprisingly, as these are brand new ships, there are only two specialty restaurants onboard Royal- and Regal. There is a barbecue, Crown Grill, and an Italian restaurant, Sabatini’s, both of which cost 25usd extra per person. Book a head is recommended as they book up quickly. Both restaurants are of high quality, both food wise and service wise, money well spent. You could eat as much as you like but you pay extra for drinks. 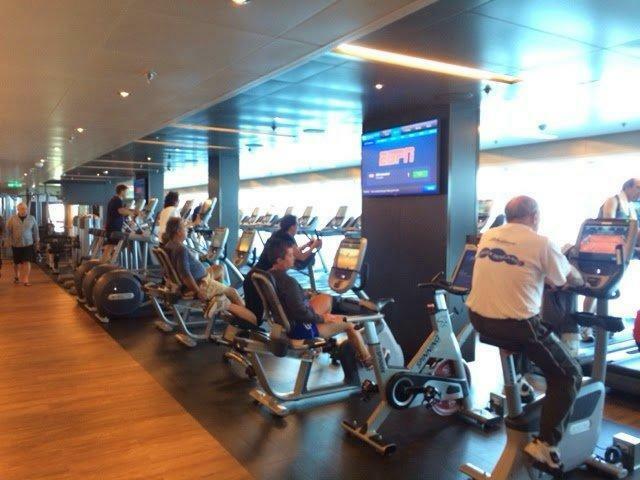 On board there is a large and well-equipped gym with weight training equipment and cardiovascular equipment. Basketball court, table tennis and jogging path are located one of the top decks in the stern, and for the golf enthusiasts, there is a “putting green”. you can also take classes in spinning, aerobics and zumba. For an additional charge you can visit the spa. The state rooms are modern and spacious with nice decor and nice colors. 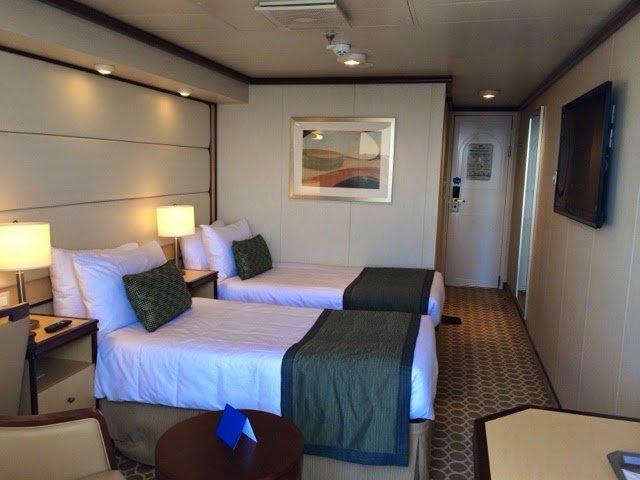 The beds are comfortable, and you can choose if you want to have two single beds or a large double bed, in all cabins. Safety boxes and refrigerators in all rooms, and your room will be cleaned twice daily.